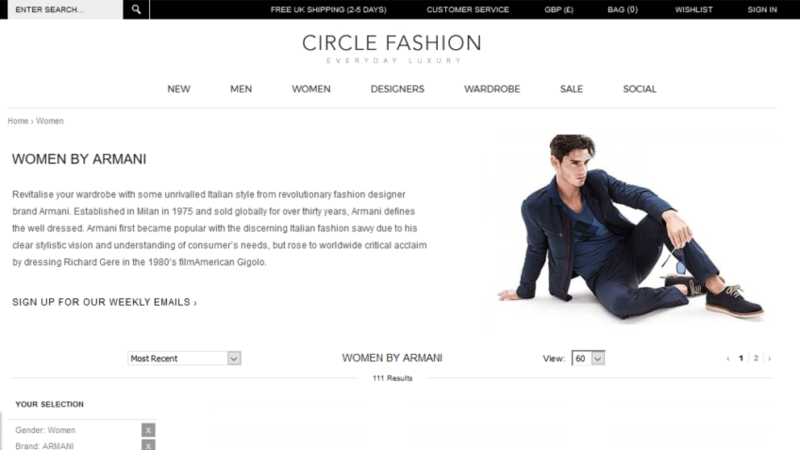 Revitalise your wardrobe with some unrivalled Italian style from revolutionary fashion designer brand Armani. Established in Milan in 1975 and sold globally for over thirty years, Armani defines the well dressed. Armani first became popular with the discerning Italian fashion savvy due to his clear stylistic vision and understanding of consumer’s needs, but rose to worldwide critical acclaim by dressing Richard Gere in the 1980’s film American Gigolo.